This is a curved glass oak china cabinet in very good condition. The china cabinet has a gracefully carved crest and has carved claw feet with solid oak shelves. 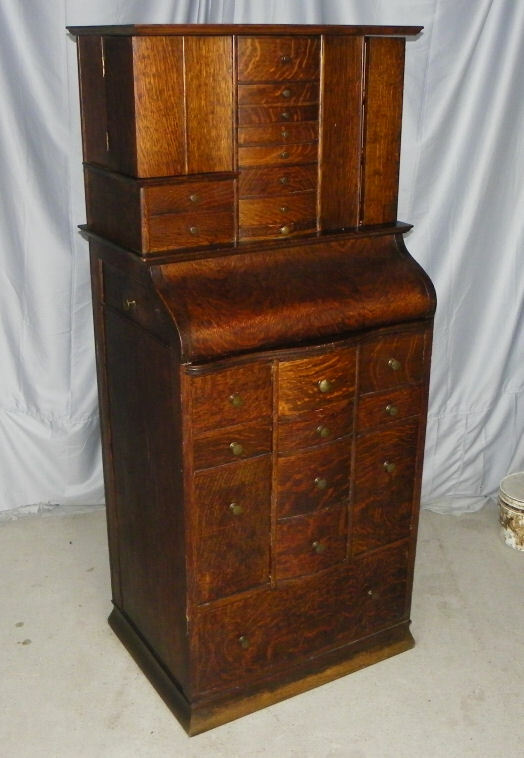 There is a furniture tag on the back identifying this cabinet has from R.J. Horner & Co. Furniture Makers, 61,63, & 65 W 23rd St. New York. Measures 72″ Height, 20″ depth and 42″ Wide. Circa 1900.